The troubled American car manufacturer Chrysler has been gradually acquired by Italian competitor Fiat in the years following the financial crisis. The acquistion was finished this month, effectively merging Chrysler into Fiat. The new company is called Fiat Chrysler Automobiles and a new logo was introduced yesterday, January 29. The new logo was designed by Robilant Associati in Rome. It makes use of the company initials, with forms inspired by the three basic shapes, square, circle and triangle. Most notable about this change would appear to be the end of Chrysler's "pentastar" symbol, at least as a corporate mark. It was created by Lippincott & Margulies and introduced over 50 years ago. 2BE is a Belgian television channel, launched in 1995 as Kanaal 2, a sister channel to the leading commercial channel VTM. The current name was adopted in 2008 as refers to Belgium's internet country code as well as the obvious English interpretation "to be". It mainly targets a younger demographic with comedy and action. This week, on January 27, it announced the adoption of a new look and logo, to be launched in March. P4 is Norway's leading commercial radio network, broadcasting on national frequencies around the kingdom. Last Friday, January 24, the network launched a new logo, created by Oslo-based brand design agency Grid Design. This month has also seen P4 launch a new station called P6 Rock which was given a matching logo, also designed by Grid. The old P4 had reportedly been with the network since it launched in 1993. As Norway switches to digital radio it has become increasingly important for the channel to have a modern and effective visual identity and to create a clear brand architecture. Basic elements from the old logo, such as the coloured stripes, have been kept and revitalised. The letter P is now expressed as a speech balloon instead of a musical note. Jimmy is a French cable television channel dedicated to television series. Since the launch in 1991, its direction has shifted from nostalgia, to cult to a broader format. Recently it has adopted a format similar to that of FX in the US and other parts of the world with series focused on anti-heroes. It is due to launch a new logo and identity on February 18. The current logo was introduced in 2007 and designed by renowned designer Étienne Robial with Sylvain Masseron. TV3 Puls is a Danish television channel, launched in 2009 as a spin-off from TV3, one of the major broadcasters in the country. At the beginning of this year the channel was relaunched, taking over several programmes from the main TV3 channel and positioning itself as a lifestyle channel for women, while also introducing a new logo. A set of idents was produced by Copenhagen-based motion design studio Frame. The idents were designed to reflect the feel of the channel. Specific references to the content were to be avoided. Therefore the idents feature different abstract objects that move around in different semi-surreal compositions. Although completely computer-generated, the objects are made of natural materials that you should want to touch and feel. Island Air is a Honolulu-based airline that serves the Hawaiian islands. This month it has formally introduced a new logo, created by Wall-to-Wall Studios in Honolulu. The previous identity, created by Clark/Huot, was introduced quite recently in July 2012. It wasn't particularly well received, with Brand New naming it on of the worst new identities that year. The new logo features an iiwi bird. Really late, but here's finally the logo round-up for December 2013. Noor Bank is a sharia-compliant bank established in Dubai. It was known as Noor Islamic Bank until January 7 when the word "Islamic" was removed from the name and a new corporate identity, developed by Wolff Olins, was launched. The new name is meant to broaden the appeal of the bank, while somehow preserving its values. The results-focused brand strategy is summed up by the slogan "Noor Gets It Done". A new brand architecture has created colour-coded identities for the bank and its subsidiaries, Noor Takaful, Noor Trade and Noor Awqaf. Aleris is a private healtcare provider in Sweden with about 7,500 employees working in healthcare, elderly care and mental health. This week it has launched a new corporate identity aimed at raising awareness of the company. It was developed by brand design agency Bold in Stockholm. The new mark was inspired by the growth rings of a tree, a symbol for how Aleris provides healthcare for all stages of life. An extensive set of pictograms and numerals have been developed in the same style as the logo. The turquoise logo is supported by a limited range of mostly blue hues. Brussels Airport is the airport serving Brussels, the capital of Belgium and the seat of the European Union. Yesterday, January 17, it unveiled new logo, designed with Brussels-based communications agency Megaluna. The last logo was introduced in 2006 and reflected rationality and efficiency. The new one aims to give the airport a warmer and customer-friendly image. It features a combination of a B, for Belgium and Brussels, to form a heart or a bird taking off. Visa has quietly introduced a new logo as part of a new communications platform called "Everywhere you want to be". It sets out Visa's vision of delivering payments for everyone everywhere, which is now close to reality. It made it debut this week with Olympics-themed advertising in the United States. The logo has only received a barely noticeable update, in that the orange wedge has been merged with the rest of the now all-blue wordmark. It remains to be seen how this logo will be implemented worldwide. This week, on January 14, American Airlines announced that their regional carrier subsidiary American Eagle Airlines would change its name to Envoy. A logo was unveiled at the same time. This is done to give the company its own identity and to distinguishit from the American Eagle brand, which is used by American's regional carrier partners. The new name launches in spring 2014. The airline will continue using the "American Eagle" brand and livery for its flights, with an "Operated by Envoy" tag to be added later. Gropo Leche Pascual is one of Spain's leading dairy companies, best known for the eponymous milk brand Leche Pascual. Yesterday, January 14, it announced that it had renamed itself Calidad Pascual and unveiled an evolved corporate identity. It is accompanied by the slogan Tú, nuestra razón de ser ("You, our reason for being"). Everything was developed with Barcelona-based agency Columna Brand Strategy & Colors. The new name removes the word leche ("milk") and replaces its with calidad ("quality)", reflecting a broader product portfolio that goes beyond milk. Taking an evolutionary approach, the main shapes and colours of the old identity have been retained and refreshed. The old-fashioned uppercase lettering has been replaced by a friendlier lowercase name. Columna has also selected typefaces and developed backgrounds and imagery to create a holistic identity. Sembo is a Scandinavian tour operator. Last month, on December 19, it launched a new visual identity. The new logo should communicate how hotels and accommodations have been carefully selected by Sembo staff. This is emphasised by the a slogan, which translates as "Carefully selected holiday accommodations". It should also communicate Sembo core values of challenge and personality. The American company Black & Decker is one of the world leaders in manufacturing power tools, with a history going back over 100 years. Since 2010 they have been a part of Stanley Black & Decker after they merged with their strongest competitor, Stanley Tools. Today, January 13, the company has unveiled a new visual identity, created by Lippincott. The consultancy has previously created the corporate identity for Stanley Black & Decker at the time of the merger and for Stanley Tools last year. The identity should convey Black & Decker's "unique ability to transform a daunting task into a feeling of accomplishment", as expressed by the brand essence "Powering People". Lippincott's work has included redesign of everything from logo and packaging to the tools themselves. They aimed to put focus on the products themselves and have therefore stripped off all kinds of unnecessary decorations. The logo is described as "simple, clean and powerful". Telemark is a county in southern Norway near the capital of Oslo. Last Friday, the county officially launched a new destination brand. It was developed by Norwegian design agency Snøhetta and originally unveiled back in April 2013 (it has since received a slight revision). The new common will be used for both tourism and other businesses. It is built on a concept of contrasts the complement and reinforce each other. Between coldness and heat, wet and dry, modernity and tradition. The new symbol is the letter T split in two halves, one blue as the the sea, the other is either white as snow or black. It will be used in conjunction with suspenseful, dreamy and inspiring imagery. The Military Channel is an American cable network dedicated to military history and warfare. Launched in 1998 as Discovery Wings, it has used its current name and format since 2005. It is one of the less successful networks in the Discovery family, and last week it was announced that it would be renamed "American Heroes Channel" on March 3. A logo was unveiled at the same time. The unashamedly patriotic name signals a shift to more story-driven programming, "providing a rare glimpse into major events that shaped our world and the trailblazers and unexpected advocates who made a difference". Sky Movies is a suite of premium film channels broadcast by Sky Network Television, New Zealand's leading pay TV platform. It started out as a single channel in 1990. On November 1 last year it expanded from three to five channels and introduced a new visual identity, developed by Interbrand. A set of eighteen idents was created by Sydney-based animation studio Sixty40 with sound by Rumble Studios. Beiersdorf AG is a German company that owns several high-profile personal care brands, the most famous by far being Nivea which is available worldwide. This week, the company has introduced a new corporate identity, developed with Hamburg agency Justblue Design. The old logo was reportedly introduced 35 years ago and contained both the full name in Helvetica Bold, the abbreviation BDF and four dots representing it then four business divisions. Two of those divisions have since been spun off. The new logo does away with the abbreviation and the dots, and builds on the old wordmark by rounding off some of its corners. The smoother wordmark should evoke care and trust. The colour is changed to Nivea's blue. The American industrial conglomerate Ingersoll Rand recently spun off its security technologies division which specialises in architectural hardware. It began trading as a separate company in early December, and a few months before this it had been rebranded as Allegion, a new brand developed with Lippincott within a short timespan. The name Allegion alludes to allegiances, conveying close, collaborative and long-term relationships. The symbol is an A made up of panels that should remind you of architectural plans and blueprints. 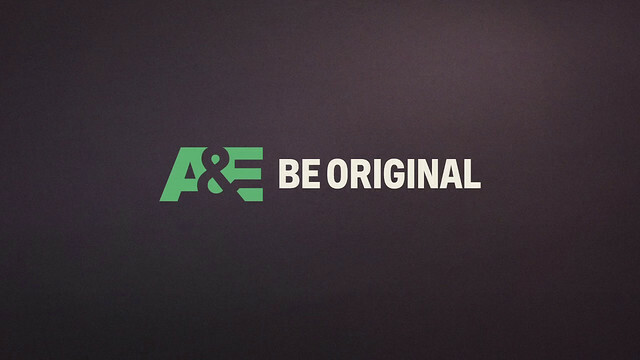 A&E is one of the most watched cable networks in the United States. Launched in 1984 as "The Arts & Entertainment Network" it was once known for documentaries and syndicated or imported series. In the last decade it has shifted its focus to reality series and original drama, with recent hits including Duck Dynasty and Bates Motel. A&E now positions itself as a premium entertainment network and the only cable network to only air original programming in primetime. To communicate this, the network has introduced the new tagline "Be Original", replacing "Real Life. Drama.". It launched on December 11 with a new graphics package, created by Troika. With that much original programming, A&E can safely build its identity around the characters and environments featured in them. Characters from different series are featured heavily in all communication. Graphics also make use of objects and textures that reference the shows. Finally, each show has its own icon that is used as graphical shorthand for each show. Overall this creates a long list of visual elements for each show. Deutscher Fachverlag is a German publisher that owns about 100 trade publications. On Monday, January 6, it changed its name to DFV Mediengruppe to reflect its transformation as a result of new cross-media ventures. The new corporate identity was designed by MetaDesign. The new logotype is blue, with the exception of the "DFV accent" which is red. This red accent is an expression of what DFV publications do, putting a important focus on the areas they cover. The typeface used is Uni Sans. ČT art is a new television channel dedicated to arts and culture from the Czech public broadcaster České televize (ČT). It launched in August last year with on-air graphics devised by Czech studio Oficina. The channel logo was unveiled when the plans to launch the channel were announced over a year ago. Consisting of the ČT symbol and the word "art" written in a corporate font all in grey, it felt utterly underwhelming at the time. But Oficina manages to brings it to life on screen in a way that conveys the channel's mission to be "a free space for individual art displays". Short jingles explore the TV medium and its history while idents "show the auctorial approach to each given art discipline". Schedules and other information is presented through different innovative minimalist typographic methods. Bologna is the seventh largest city in Italy, located in the northern part of the country. This city has a long history stretching back 3,000 years and is well known for both its university and its cuisine. Last month, the city presented the result of a contest to find a new visual identity. The new dynamic identity was created by Matteo Bartoli and Michele Pastore, two graphic designers from Trieste. A series of colourful abstract pattern have been designed to convey varying aspects and perceptions of the city. The duo has created a system of point-symmetric elements, each linked to a letter of the alphabet. 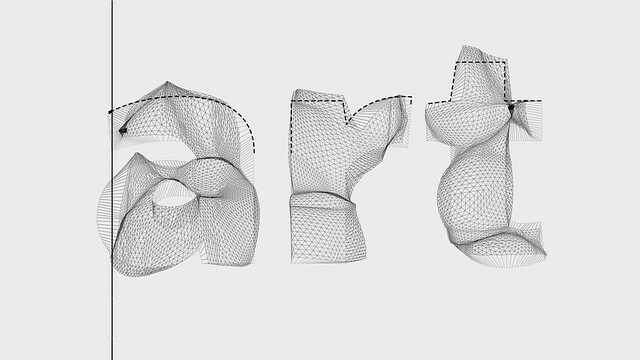 These can be combined to create myriad of overlay pattern symbols. DNV GL is a classification society formed last year by the combination of Det Norske Veritas of Norway and Germanischer Lloyd, which was based in Germany. It deals with classification, infrastructure and software for ships and other sea-based structures such as oil rigs. Last month, on December 16, the combined organisation unveiled its corporate identity, created with Landor Associates. The new brand strategy should communicate DNV GL's brand promise, "a broader view". The logo is made up of three stripes, representing sea, land and sky. The Taiwan Taoyuan International Airport is one of two airports that serve Taipei, the capital city of Taiwan. During a press release held on December 19, the airport unveiled a new corporate identity. The new symbol is made up of four interlocking Ts, for "Taiwan, Taoyuan", "Transfer", "Transform" and "Touching". Greece took over the rotating Presidency of the Council of the European Union on New Year's Day and will hold that position for the next six months. Each presidency has its own unique logo to help define the presidency and the Greek one was revealed in November. Being the country in the eurozone with the most dire state economically, Greece has chosen to make austerity a theme running through all activities. This is also reflected in the presidency logo, a sailboat in a sea of blue. It was designed by a Greek agency called Beetroot. The Brand Union is one of the largest brand identity consultancies in the world, formed in 1996 by the merger of five leading WPP-owned brand consultancies in New York, San Francisco, London, Hong Kong and Taipei. Today they have about 500 employees and 23 offices around the world. The group was known as Enterprise IG until 2007 when it adopted the current name and an unusually experimental logo that played with shapes and whitespace. Last month, shortly before Christmas, the group introduced a new website and a renewed visual identity. Taking a reductive approach, the new symbol consists of the simplified initials B and U.